for your business printer needs. and other name brand copiers for clients in Grand Junction, CO, and the surrounding areas. Looking for a new printer for your business? We can provide a custom quote for your businesses specific needs. TJL Copy Products offers routine maintenance, replacements for majority of supplies and parts from normal use. 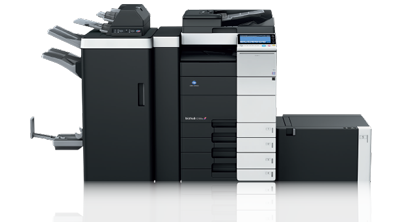 We offer top of the line brands – Konica Minolta, Kyocera, Okidata and other name brands. 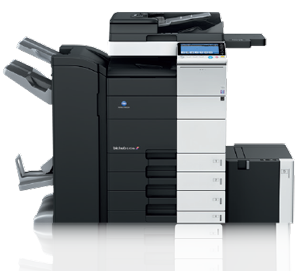 We offer both renting and leasing options for all printers and copiers. Submit your order today for supplies, service call, or meter readings. 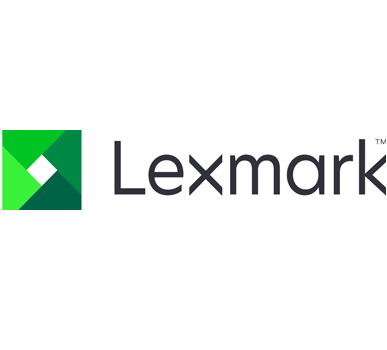 Document creation and output, document management, and more. Kyocera, Konica Minolta special offers. Our service department provides a quick and timely response to all service calls and offers high quality results. We offer more than copier sales and service. We also specialize in document management, print services, production, and wide format printing equipment, scanning services, and supplies, as well as financing options. We are committed to providing you with the very best factory-trained technicians, document consultants, and administrative staff available. Leveraging our expertise and past experience, we offer a customized approach to designing, developing, and implementing end-to-end solutions to meet your needs. Because we care about our environment, we have teamed up with Konica Minolta to offer our customers a recycling program for all KMBS toner cartridges. This is a no cost recycling program that shows you are going green. We also recycle any type of printer or copier that is no longer in use. We never send any type of components to the landfill. With your help, we will make the earth better for our children.